Every screening finished with a Q&A. Nothing unusual here, but what is unusual is the quality of the Q&A facilitators. They are the best I have ever come across. Armed with the full information about the director, the team, the film, they are able to engage an intelligent and emotive dialogue between the audience and the filmmaker. On The Bully Project I sat next to a 12-year-old girl who managed to overcome her tears and ask the filmmaker and an audience of 600 people if one should denounce bullies. After The Bengali Detective, the main character (the detective) received a standing ovation of loud applause for several minutes as recognition of the humor demonstrated in his life against all odds. 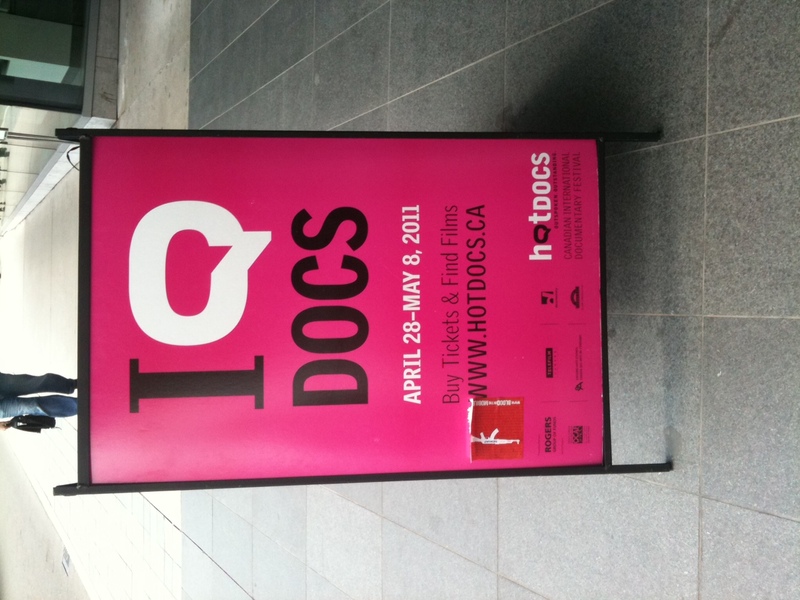 When I talked to Sean Farnel, director of Hot Docs, about Toronto's incredible audiences, he said that both audience and Q&A facilitators get plenty of practice all year round, with a rich exposure to a vibrant documentary culture in Toronto. A model to be upheld! Every commissioning editor complains that there is no audience for one off documentary films proposed by indies, but again and again, hundreds of people were queuing in the cold and rain in order to catch another international documentary and the chance to share the viewing with the filmmaker.